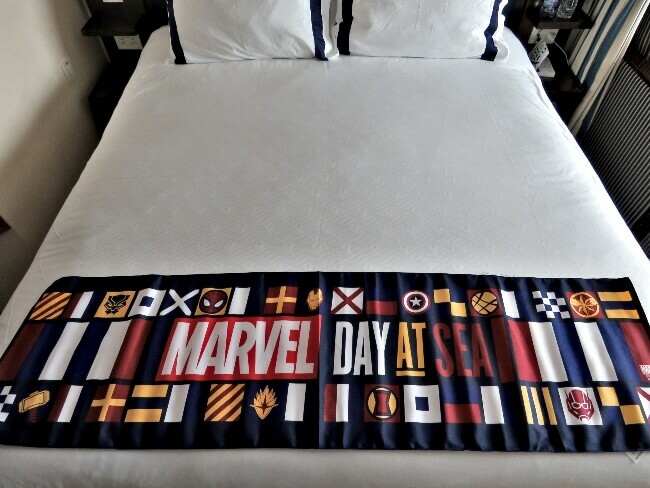 Welcome to Marvel Day at Sea! 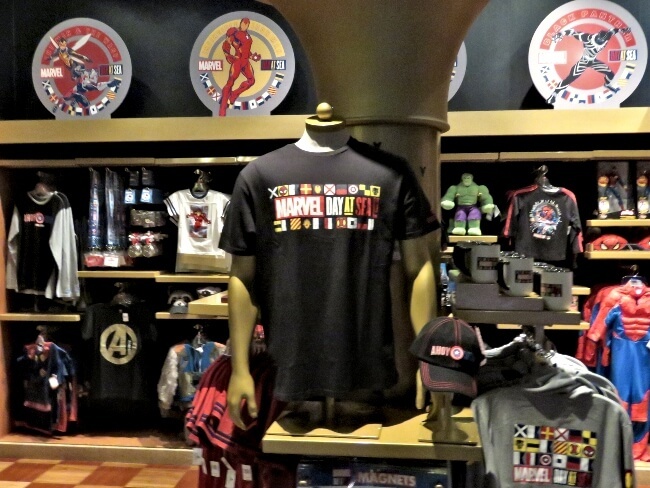 Disney Cruise Line’s Marvel Day at Sea brings the Marvel Cinematic Universe to the seas. Immerse yourself in a world of superheroes and supervillains. Meet Thor and Loki, Iron Man and Captain America, Black Panther, and more. We have cruised on Disney’s Star Wars Day at Sea, Halloween on the High Seas, and Very Merrytime (Christmas) Cruise. Marvel Day at Sea tops them all in our opinion. 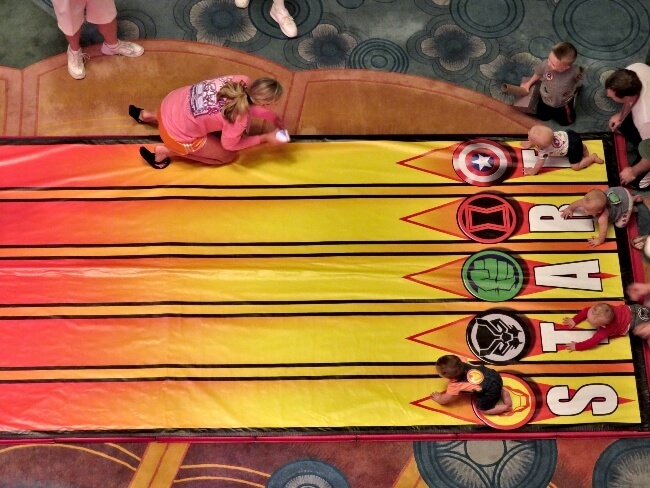 Read on to see why Disney Cruise Line’s Marvel Day at Sea makes a dream cruise even more magical. I must admit that our family loves Marvel: movies, TV, and comics. 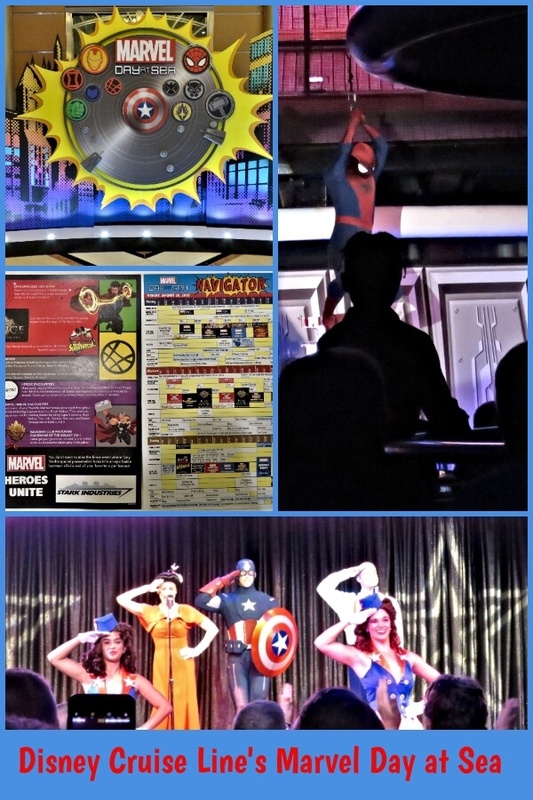 We were excited about Marvel Day at Sea during a 5 day Bahamian Cruise on the Disney Magic. 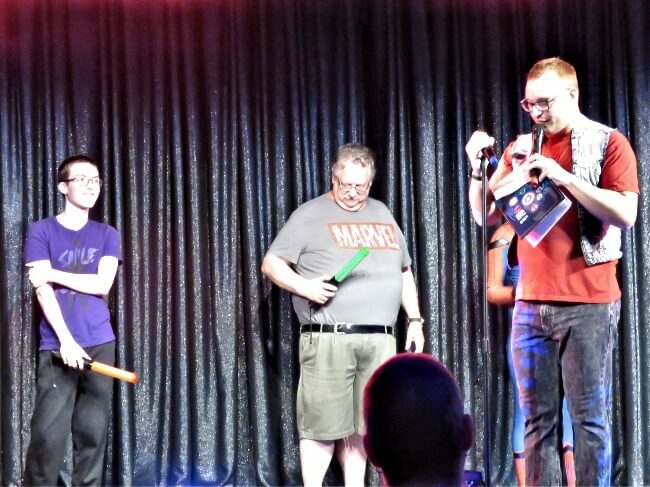 The entire cruise offered tastes of the Marvel experience, but one day was entirely saturated. Disney places a story behind everything they do: attractions, restaurants, and even special cruise days. On Marvel Day at Sea, Tony Stark is aboard the Disney Magic to reveal his new scientific breakthrough to world. He has invited several of his friends along for the unveiling. This is where the fun begins. Everyone stays in character. Ship announcements include messages for Mr. Stark to meet the Magic’s Captain Fabian on the bridge. Just one of the many details. 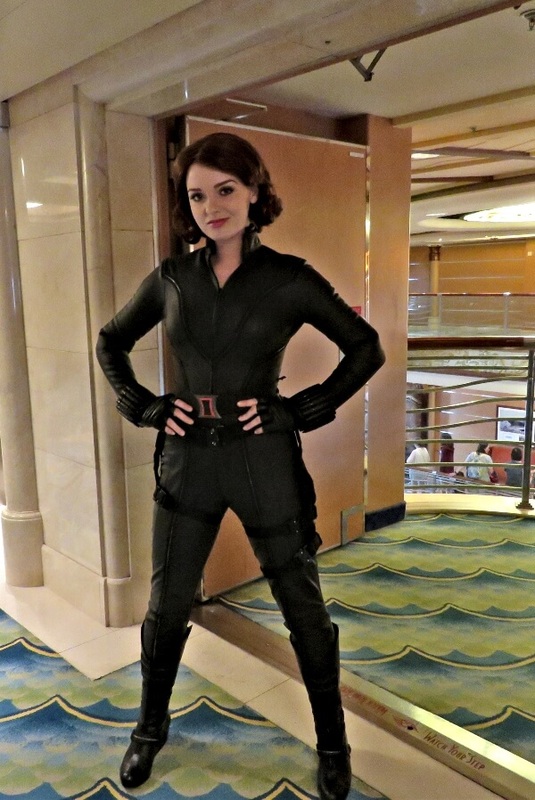 I bumped into Black Widow by the elevators. On all Disney cruises, meet and greets allow passengers to meet their favorite Disney characters from Mickey and Minnie to Rapunzel and Peter Pan to Doc McStuffins and Vampirina. 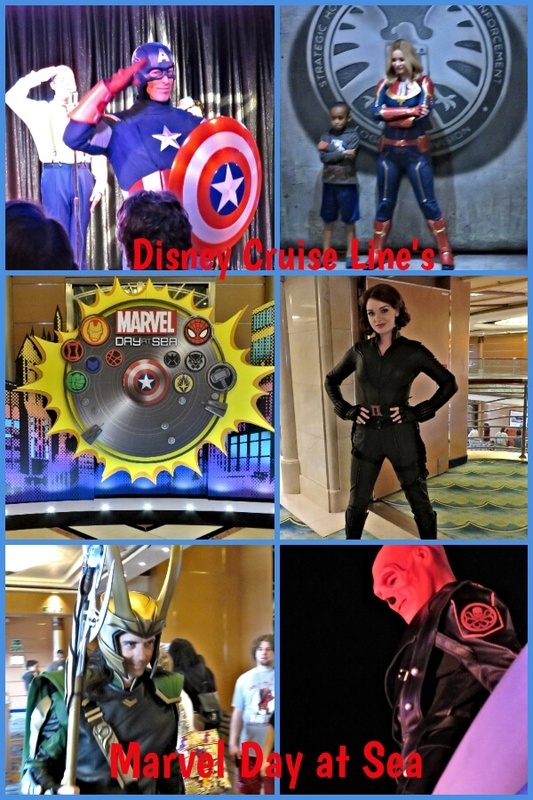 On Marvel Day at Sea, many of your favorite Marvel characters have scheduled meet and greets. Others pop up unexpectedly just wandering the decks. We encountered many of our favorites: Iron Man, Black Panther, Thor, Loki, Black Widow, Groot, Star Lord, Captain Marvel, and more. 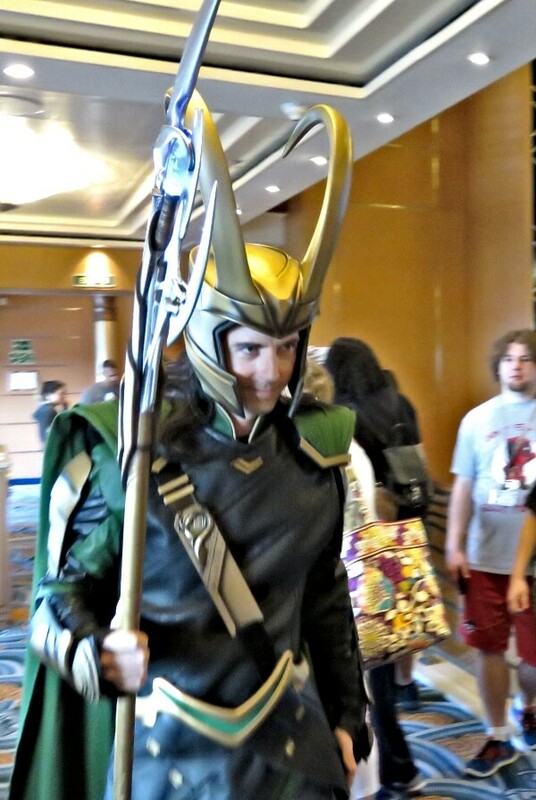 Loki, the trickster, passes by. Loki was especially entertaining. While Thor posed for photos with fans on the 4th floor deck, Loki appears on the opposing 5th floor balcony and proceeds to taunt Thor. Moments later, Loki walks right past us. Pretty cool! Disney Cruise Line shows movies throughout all of their cruises by the family pool on the upper deck (Funnel Vision) and in the Buena Vista Theater. 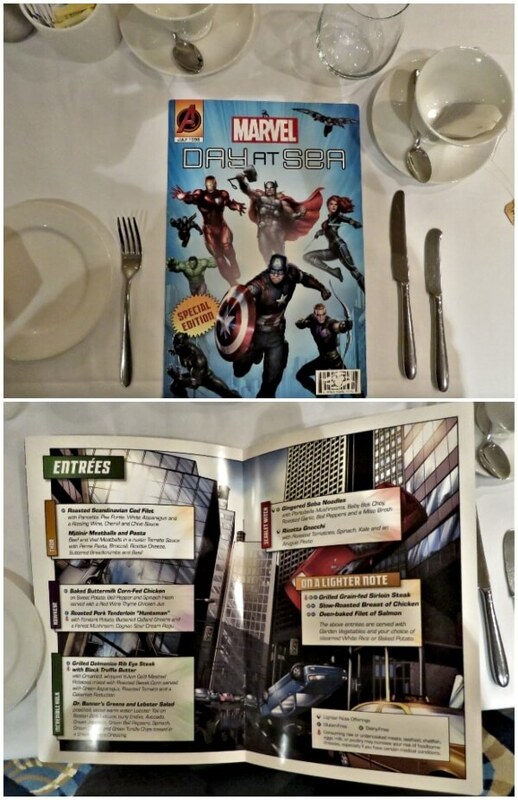 On Marvel Day at Sea cruises, more Marvel films are included in the daily selection at the Buena Vista Theater. Our son stayed up to watch the 10:30 p.m. showing of the Avengers trilogy on the first 3 nights of the cruise. On Marvel Day at Sea, movies from the Marvel Cinematic Universe play all day in the Buena Vista Theater. 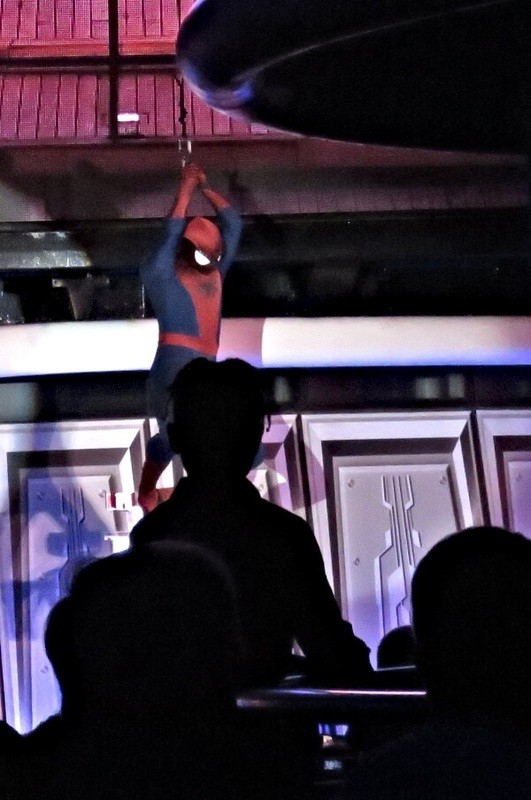 Funnel Vision on the upper deck shows animated Marvel movies and shows from the Disney TV. Of coarse Disney sells plenty of merchandise to commemorate your cruise. You will find t-shirts, mugs, costumes, toys, hats, and more. A tablet containing the Marvel comic library. The Promenade Lounge on the 4th level hosted Marvel Comic Vaults. 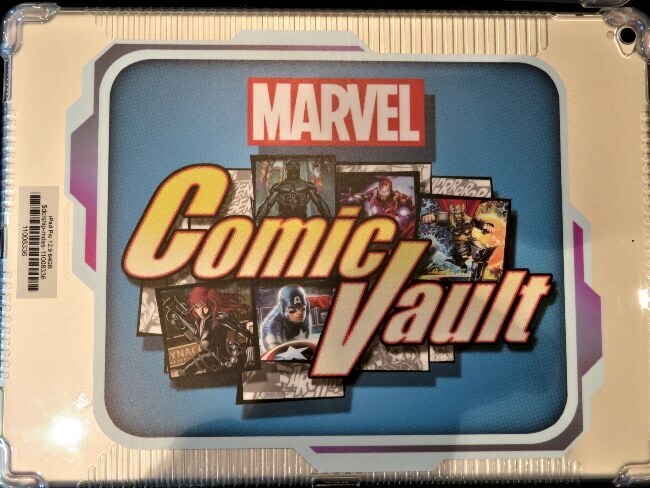 Tablets with the complete Marvel Comic Library were provided to comic enthusiasts. Being taught to draw Iron Man. 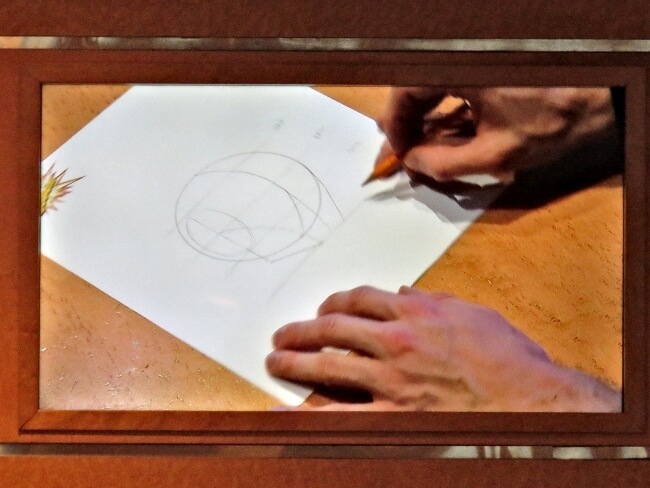 Drawing lessons were offered throughout the day. I was taught to draw Iron Man and Groot. I always enjoy drawing lessons and these were fun, too. 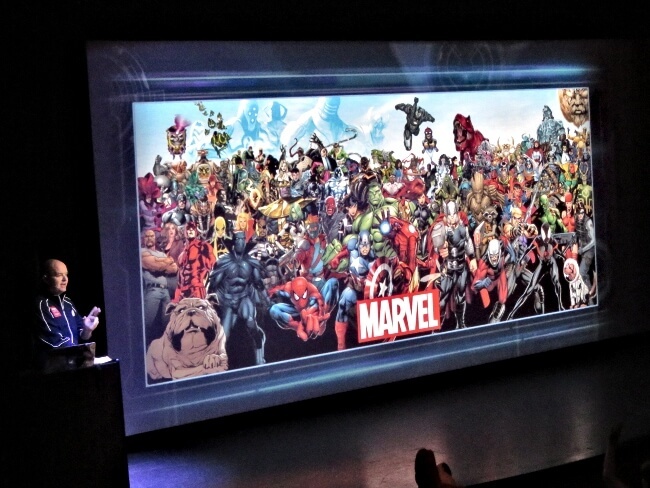 The Buena Vista Theater hosted an Introduction to Marvel Comics Presentation. This live and recorded lesson had Marvel writers, bloggers, historians, actors, and fans telling and showing how Marvel comics have evolved. Did you know that Marvel comics has over 8000 characters? I enjoyed it and it did help in trivia later. 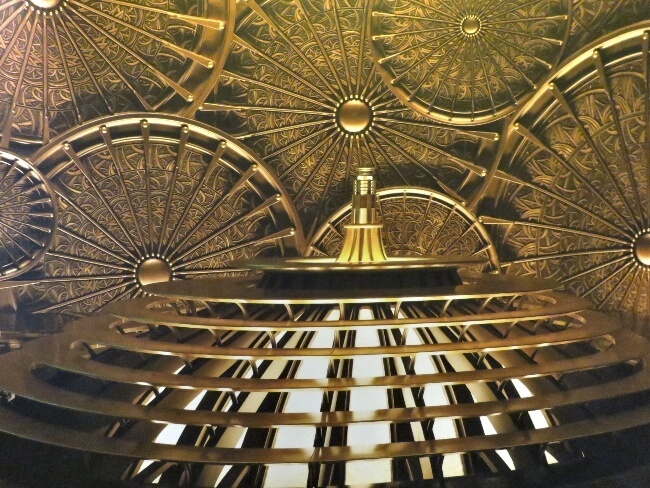 Fathoms lounge in the Afterhours section of the Disney Magic hosted the Captain America U.S.O. Tour. We were treated to a World War II style, big band/swing song and dance show. 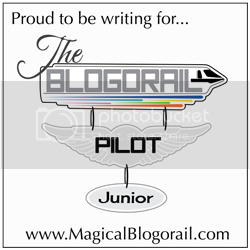 Kids and adults of all ages enjoyed this upbeat journey back in time. Captain America appeared for the grand finale. It was a great show. Anyone could participate in the Marvel Superfan Challenge in the Fathoms Lounge. Four rounds tested your knowledge of Marvel Trivia: comic, TV, and movies. The original roughly 80 contestants winnowed down to 10, then 4, then finally 2. Our son won! topping another young man dressed in full Spiderman garb. 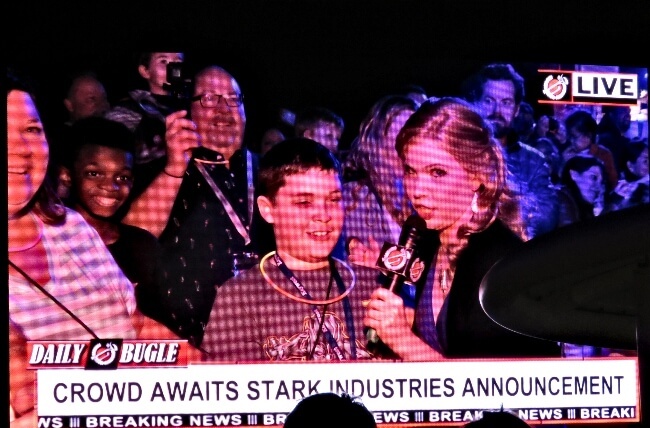 He was crowned Marvel Superfan and received some cool Marvel prizes. We were so proud. This stage show in the Walt Disney Theater was weak. Not even Disney and Marvel hit all home runs. Kids dressed as their favorite Marvel character,..and Darth Vader. 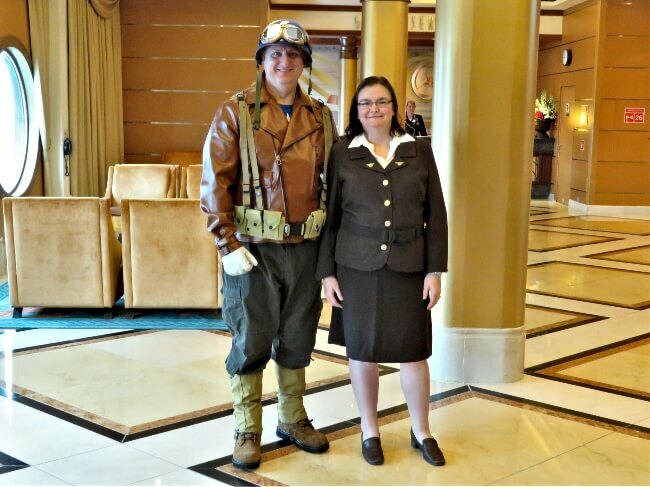 Passengers were invited to dress as their favorite Marvel character. 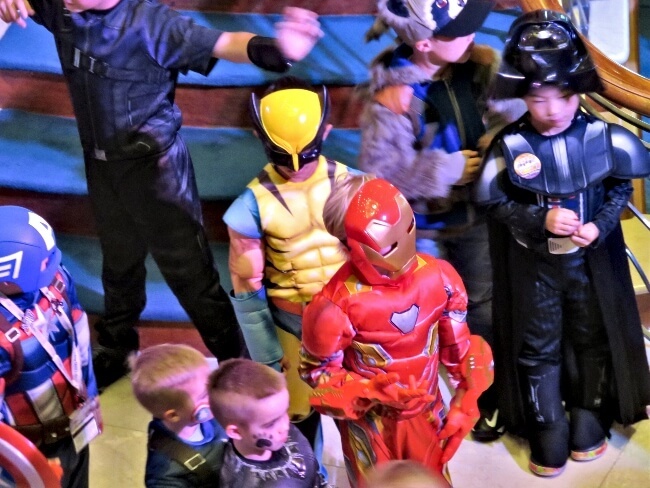 Children and adults donned their favorite superhero and occasionally villain costume. The number of people who dressed up surprised us. Many young girls turned into Captain Marvel, while adult women seemed to prefer Agent Peggy Carter. Boys and men had a larger variety from which to choose. We saw impressive Hulks, Spiderman, Black Panther, Rocket Raccoon and many others. There were random DC comic characters like WonderWoman, Superman, and Batman here and there, too. And, of coarse, princesses fresh from the Bibidi Bobidi Boutique graced the ship, too. It is all fun. 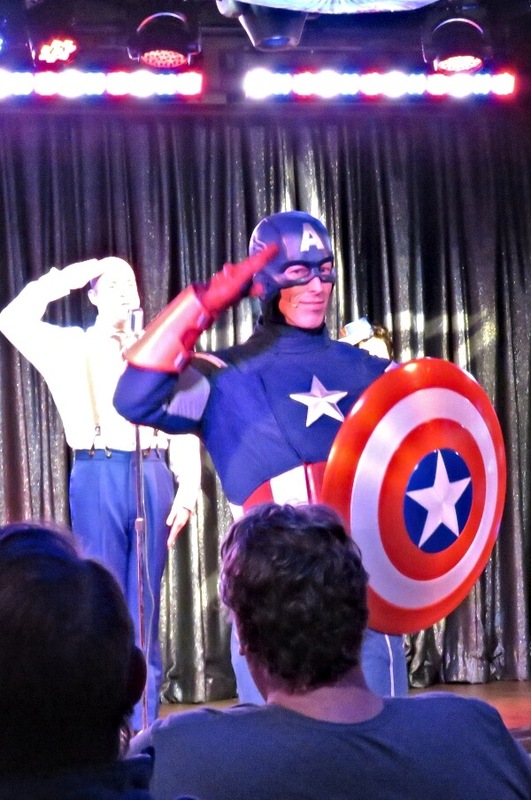 The grand finale of Marvel Day at Sea takes place at 10 p.m. on the upper decks. Tony Stark is set to reveal his new scientific masterpiece. Things do not go as planned, though. Marvel villains plan to steal Stark’s project and use it for evil purposes. 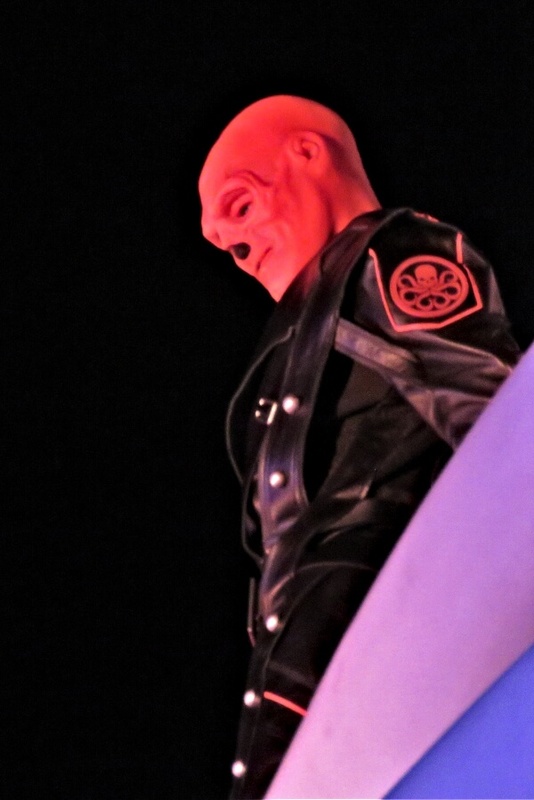 The Red Skull lurks above. The show absolutely works! Heros, villains, stunts, fireworks, lights and other surprises make this Disney Cruise Line’s best deck show. Neither Pirates of the Caribbean, Star Wars, or Frozen shows come close. This one is a blast. The Tesseract where Thor transports between worlds. Can You Escape It if You Wish? Obviously, Marvel Day at Sea is not for everyone. For those wishing to take a break from the Marvel Universe, you too are in luck. Marvel activities only take place at the family pool on the upper deck. The adult pool area with the Cove bar area remain Marvel free, as do O’Gills Tavern and Keys in the Afterhours section of Deck 3. 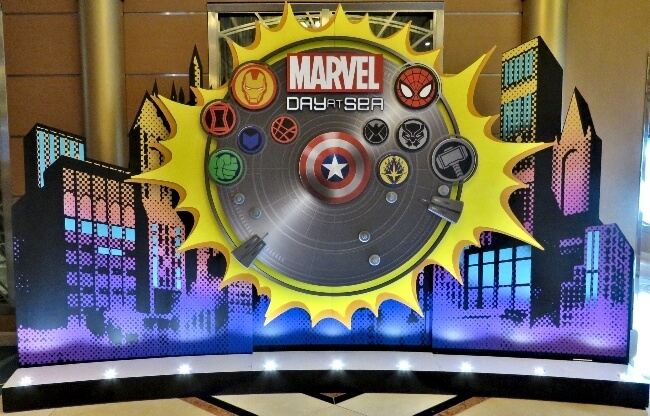 If you are a fan of Marvel comics, TV, and/or movies, then you will absolutely love Disney Cruise Line’s Marvel Day at Sea. There is so much to do! Almost everything works and works well! Even if you are only a little bit of a fan, you will still be thoroughly entertained. We all three enjoyed it from start to finish and hope to do one again. 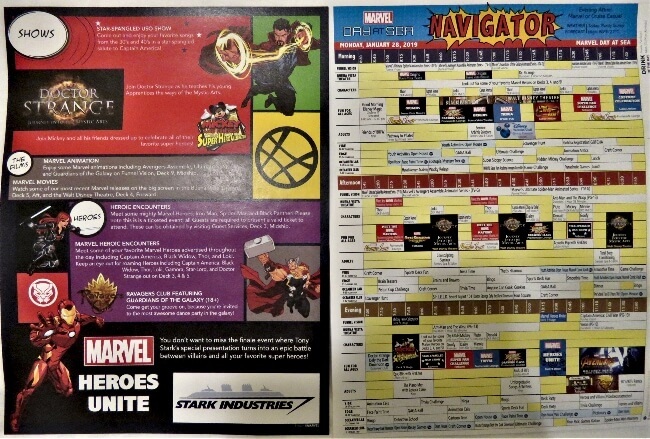 If you do not like Marvel entertainment, then there are plenty of other cruises from which to choose. Who knows though. This cruise may convert you.